UPTET 2016 Official Answer Key : UP Basic Education Board successfully conducted the Teacher Eligibility Test (UP TET) on 2nd February 2016 at 1128 centres across the state. About 9 lakh candidates applied and appeared for the examination. All the candidates who had written the exam are eagerly waiting for the official answer key so that they can predict the marks and estimate the results. Although unofficial answer keys were released UPEB is going to release the official answer key on 8th February 2016. The candidate can submit their objections regarding any mistake in answers till February 11. The final answer keys will be released on February 25. This year UP board released the notification for the TET examination and the candidates who had appeared for the Paper-1 and Paper-2 can check the UP TET 2016 answer key from the official website. UPEB will release UPTET 2016 official answer key on 8th February 2016. Candidate can submit their objections regarding any mistake in answers till February 11 and the final answer keys will release on 25th February. 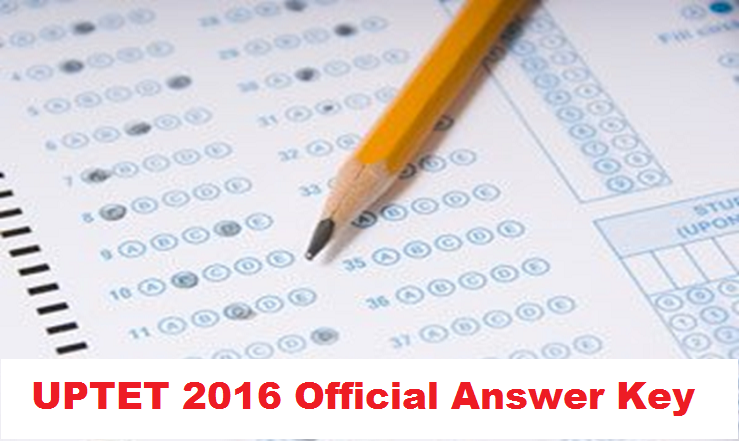 Click on UPTET 2016 Offical Answer Key. Press CTRL+D to bookmark this page for easy navigation. Here we will update the official and unofficial answer key, cut off marks, results etc.